Open the folder for The Sims 4 Mods. If the 'Mods' folder is missing, turn the game on and off at least once. 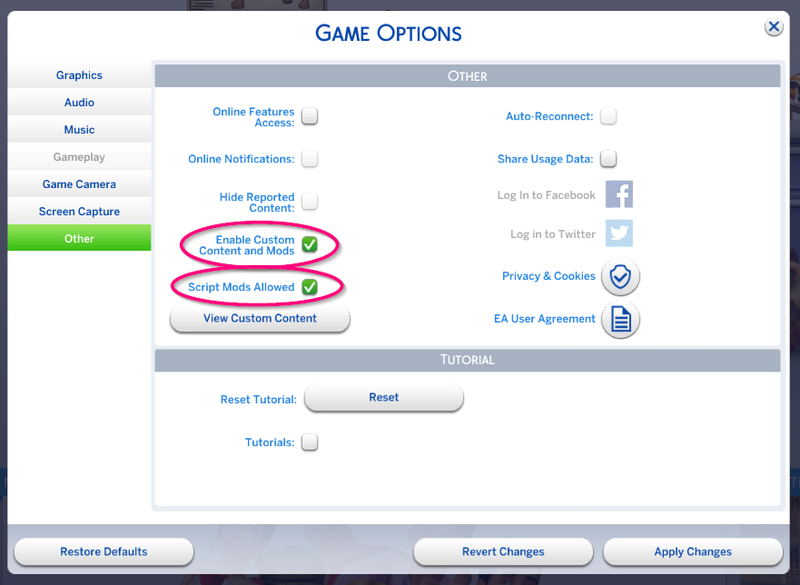 Drag the ‘WickedWhimsMod’ folder directly from the archive manager to the opened The Sims 4 Mods folder. Do not put the 'WickedWhimsMod' folder into any other folder! Put it directly into the 'Mods' folder! If the 'Resource.cfg' file is missing, turn the game on and off at least once. And open the 'Game Options'. You need to repeat this process every single time a game update occurs! And then you can turn it back on again and play.